Great night shot, my friend! Wonderful place. Excellent night shot with great light and colors! Wonderful work! So soft magic light.. Exellent composition, especcially with this tree... What are the spheres on it? You have some shops, pubs ore normal house where people live. 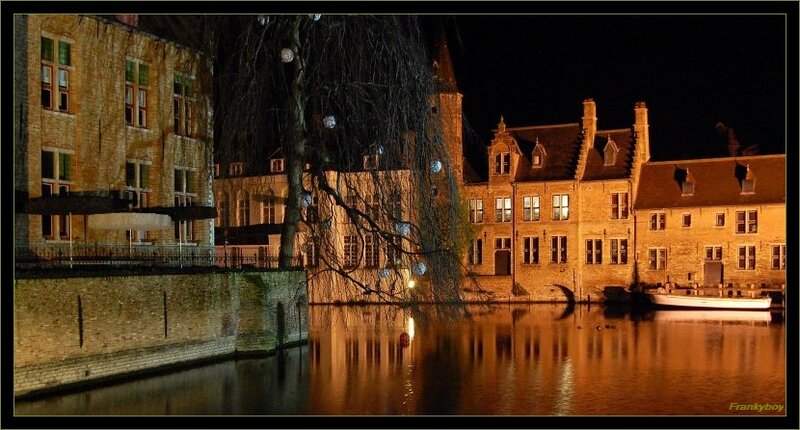 Brugges is a nice city withe a lot of chocolate and nostalgia. wonderful view of the architecture, wam colors, nice! Zeer mooi gedaan m'n vriend! Brugge lijkt me een mooie stad. very nice composition and colours! Why it's pity that the sky is black? I can see details all over the picture except the sky, so it looks to me a little bit empty, some kind of "black hole"